QUEBEC CITY (CNS) — Daylight illuminates the monastery’s long corridors, seeping through the old windows dotting its thick walls. The floor responds to the slightest step with an enveloping rustle, as today’s Ursulines follow the footsteps of their predecessors. But this uninterrupted cycle that dates back to 17th-century New France is coming to an end. 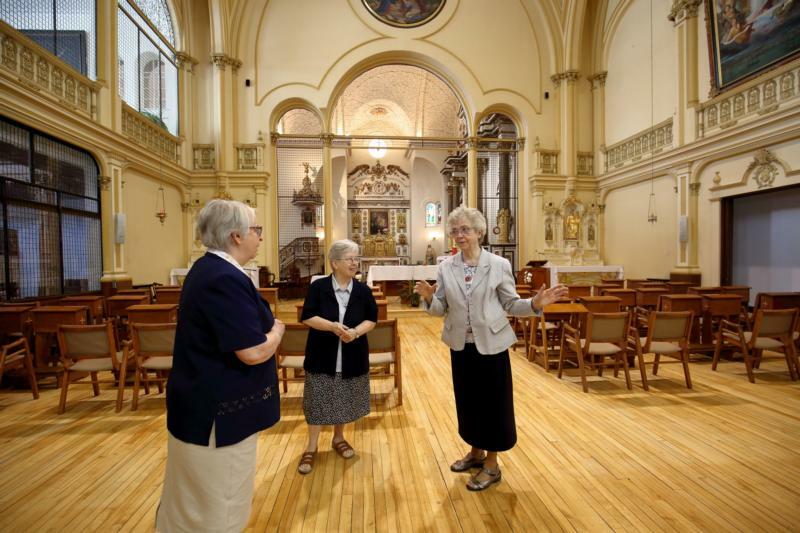 “If we want health care until the end, if we want to be safe, if we want to be freed from administration and management, it was necessary to think about leaving the house,” said Sister Cecile Dionne, superior general of the Ursulines of the Canadian Union. “It was like a new birth. This is the first time I say it like that, but it’s really what I live. These sisters gave me love, confidence in me, made me see that I had abilities,” she said, adding that she was fascinated by the joy that emanated from the sisters. “We’re leaving to go die elsewhere: We go to meet a new way of living our mission, which has always been to be with people,” said Sister Dionne. “Maybe today, we are called to join our brothers and sisters who, like us, are facing the challenges of old age. Sister Dionne thought their monastery would be the last of the few Ursuline houses in the province that they would leave. It’s rather the first. “I would never have thought that I would ask our sisters of the monastery first and that I, who was one of their students, would find myself in a room in front of my old provincials and old generals to ask them that. It’s not easy. Not easy. I prayed a lot,” she said. The three sisters, however, believe that their values will be carried on. The monastery will be used as a museum, cultural center, the Marie-de-l’Incarnation Center — all places and initiatives that will keep alive this memory, this ideal. But it is difficult to predict how their presence will be felt in a generation or two.